Are you looking to attract, retain, and engage top talent within your industry? Our free white paper reveals why offering identity protection to your employees may be instrumental. Attract, retain, and engage the nation's leading talent. 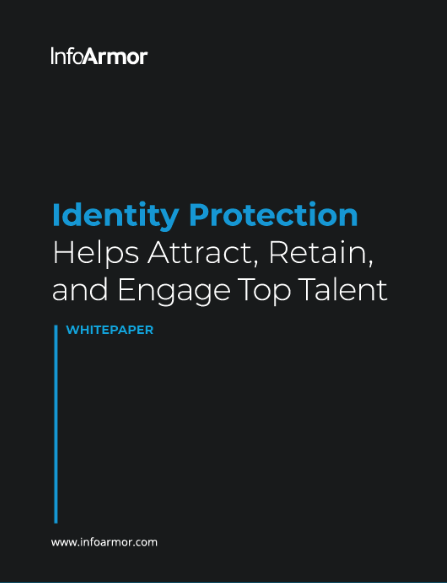 See the difference identity protection can make at your organization by downloading our complimentary white paper, "Identity Protection Helps Attract, Retain, and Engage Top Talent." Why identity protection as a benefit? There are 27 million businesses in the U.S. alone, and nearly all of them are fighting for the same small group of talent in their industry. With so much competition, companies are spending a fortune trying to attract, retain, and engage top talent. But, the world is a changing place, one where salary alone is no longer enough. Often, the decision to join or remain at a company comes down to the benefits an organization provides, and identity protection has consistently ranked among the most desired.